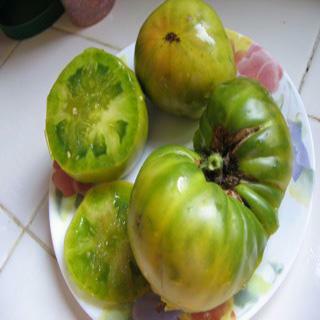 A very large sized green beefsteak tomato with beautiful pink streaking on blossom end that radiates into the flesh. Fruit from this seed has an exceptional flavor. Heirloom Seed Packet. This is the favorite green of many seed savers. Flavor really is exceptional. A very large sized green beefsteak tomato with beautiful pink streaking on blossom end that radiates into the flesh. It’s the cotton candy of the greens!